I have a small dilemma. I am 18 years old. I have a close relative now living in Israel who is very extremist when it comes to living in Israel. He has always disapproved of people living outside Israel for he never really sees them as "worthwhile Jews" or Jews who are so dedicated to their Jewish heritage. Lately, he has criticized me for living outside of Israel, and he claims that there will be a price I will have to pay for doing such a "sin." I know I want to come to Israel once I get an education so I could support myself later on in the future. Neither does he agree that this is the right way to go and they claim that by the time I will get to Israel (when I will be about 20 - 22 years of age), I will be "too old" and therefore it won't have an impact on me. I have decided to write to you for, as a Rabbi, I would respect your opinion. I don’t want to believe that I’ll be too old to go to Israel at 22 or that my life outside Israel is a waste of time, yet, by the letters I receive from him, I am beginning to feel guilty. Do you think I should work now so I could support myself in the future and meanwhile help in the local Jewish community, or should I ignore the Jews outside Israel and go to Israel now, so I won't be "too old" in a couple of years? Thank you. As you probably know, the Land of Israel is central to Judaism. It’s an intrinsic part of the covenant between G-d and Abraham, and it’s where the Patriarchs and Matriarchs lived and are buried. Most events recorded in the Tanach took place in Israel. Israel is the only land conducive to developing the faculty of prophecy. All the prophets either received prophecies in Israel, or prophecies that related to the Land of Israel. For example, Abraham's only prophecy outside Israel was the command to go there. Even today, people who live in Israel experience extraordinary Divine assistance in Torah study and spiritual growth. As the Sages said: "There's no Torah like the Torah of the Land of Israel;" – "The air of the Land of Israel imparts wisdom." Despite the security situation, in many ways one can experience a higher level of tranquility in Israel than can be experienced elsewhere. Furthermore, most of the commandments only apply when the majority of Jews are in Israel; nowadays, when most Jews live outside Israel, only 270 of the 613 mitzvot can be fulfilled. Is there a specific mitzvah to live in Israel? Many authorities say it is a mitzvah to live in Israel, in keeping with the verse, "and you shall possess the land and dwell in it (Bamidbar 33:53)." Maimonides, on the other hand, states that "one should always dwell in the Land of Israel," yet he does not list it as one of the 613 commandments. Rabbi Moshe Feinstein explains that according to Maimonides there’s no obligation to go to Israel, although it is a good thing to do. Since living in Israel affects almost the entire range of mitzvah observance, all factors should be considered. Will you be able to find work that provides you with the time and money to fulfill the mitzvot - for example, study Torah, give charity, and provide a Torah education for your children? Halachic authorities throughout the ages have emphasized that a person should come to Israel only if reasonably sure he can support his family and guarantee his children a Torah education. However, one shouldn’t seek luxuries - the importance of living in Israel outweighs driving a Ferrari and eating steak every day for breakfast. Other factors to consider: How will you deal with living far from family? How do you feel about the security situation? How will you adapt to a new culture? What suitable marriage prospects are available? What appropriate Torah study program will you connect with? 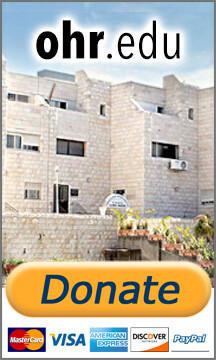 Will you be able to live in a Torah neighborhood? G-d forbid anyone should say a life isn't "worthwhile" just because it’s lived outside of Israel. A life dedicated to Torah and mitzvot is certainly worthwhile, wherever it is. Sometimes a person’s contribution to the Jewish People can be even greater outside of Israel, especially a person involved in Jewish education, outreach or community matters. Coming to Israel is sort of like getting married: Everyone should do so eventually, but not because a well-meaning relative bullies you into it. And if you do so when you want to, you’re more likely to fall in love.